Dr. Parker has over 40 years’ experience in the healthcare industry including clinical nursing, management, nursing informatics, and education both corporate and academic. She serves as contributing faculty at Walden University in the Masters of Science in Nursing (MSN) – Nursing Informatics and Doctor of Nursing Practice (DNP). Her research focus is on the impact of technology on clinician workflow. Dr. Parker has worked in clinical system/device selection and implementation from both a facility and vendor perspective. She has worked at all levels of clinical practice within client organizations to ensure successful outcomes for the clinician and the organization. She has been a frequent contributor to the growing body of healthcare knowledge as a presenter and author. She received Associate, Bachelor’s and Master’s degrees in Nursing, completed a post-master’s certificate in Nursing Informatics, and completed her PhD in Education with a specialization in Training and Performance Improvement. She holds American Nurses Credentialing Center (ANCC) board certification as an informatics nurse. 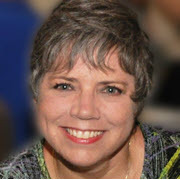 She is Fellow of Healthcare Informatics Systems Society (HIMSS), belongs to the American Nursing Informatics Organization (ANIA) where she serves on the Board of Directors, and to the American Nurses Association/Texas Nurses Association where she served the Scope & Standards of Practice for Nursing Informatics revision workgroup and to Sigma Theta Tau International (STTI), the international honor society for nursing. Parker, C. D. (2017). Supporting Clinicians’ Cognitive Workload – Technology’s Role. Heart of America Chapter of the American Nursing Informatics Association (ANIA).